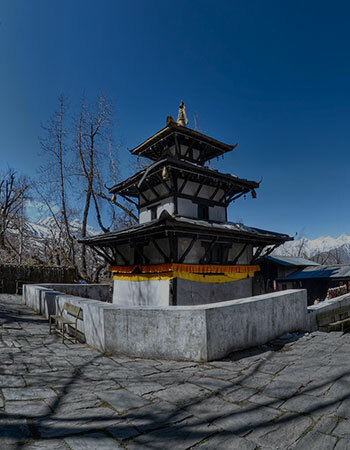 Home to some of the best trekking grounds of the world landlocked from one side by the high Himalayan Mountains and the jungles of the Indian plains from the other side makes Nepal a mystic land of snow clad peaks, sherpas, yaks and monasteries. 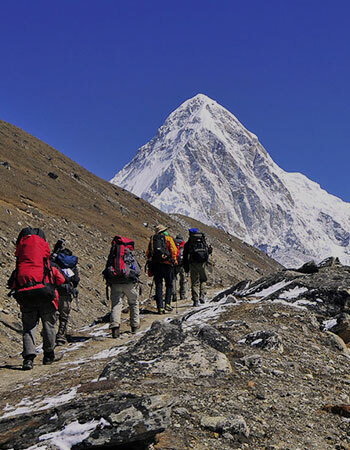 The dire appetite for trekking gets fully quenched in Nepal where you can trek for weeks across mesmerising scenic Himalayan Mountains matched with world class comfort and services for you at base camps which is an absolute abode for adventure seekers. Along with trekking what make your trip to Nepal more exciting is rafting down in some of the swiftest rivers and bungee jumping. Rest you get an opportunity for canyoning, kayaking, climbing, paragliding and mountain biking in picturesque landscapes of Nepal. Another added charm to Nepal is pilgrimage trips of century’s old Hindu temples and monasteries scattered all across the Nepal. The country also has a good number of national parks for nature lovers to see and spend time, amidst some of the rare species of birds and animals making Nepal a real treasure trove for adventure seekers and nature lovers. 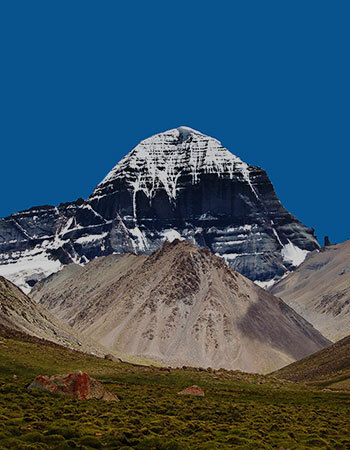 A major part of the country covered under mountains offering a world class trekking and mountaineering adventure. Nepal spans 497 miles in length and 124 miles in width, Situated between latitudes 26° & 31°N and longitudes 80° & 89°E. Nepal on the basis of its terrain can be divided into three parts as Mountain, Hill and Terai running from east to west. 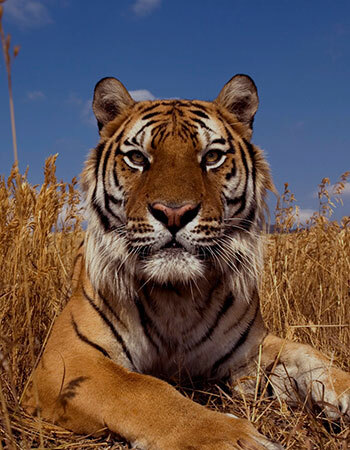 The southern lowland plains or Terai is formed and are fed by three important Himalayan rivers Kosi, the Narayani and the Karnali. The hilly area of Nepal varies in height from 800 to 4,000 meters. The Mountain Region (Himal) making the northern part of Nepal has some of the highest peaks of the world including 8,848 meters high Mount Everest along the border with China. Other more than eight thousand meters High Mountain in Nepal include Lhotse, Makalu, Cho Oyu, Kangchenjunga, Dhaulagiri, Annapurna and Manaslu. About 27 million Nepalese are made of 69 groups of different culture and languages. Hinduism is the main religion of the people of Nepal followed by Buddhism, Islam, Kirat and others. Different ethnic groups in the different parts of Nepal have different lifestyle, costumes and language. People in Nepal live in different environmental conditions from low plains near India-Nepal border, middle range hills and valleys and also very high Himalayan ranges. Nepal cannot be considered as a well developed country but still some part of the country especially the city of Kathmandu and others connected with Kathmandu are picking up fast with some very good new roads, modern buildings, modern education system etc. Though the old generation here live in traditional way mostly and do not communicate in English but the youth is connected with the modern world technology and they speak fluent English. Living in joint family system commonly and respecting their social system the people of Nepal are very much dependent on tourism. Apart from their traditional occupation of agriculture tourism is also a major source of income for the people of Nepal as the country is full of tourism possibilities. Nepal is a multi religious nation where people of different religions and faith live together in peace and harmony under their traditional lifestyle respecting their own rituals, language customs etc. 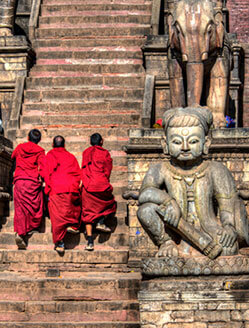 Hinduism and Budhism are the major religions in Nepal. The first instance of civilized human habitation has been found in Nepal around 6th century B.C., was restricted to fertile Kathmandu Valley where the modern day Kathmandu is located. In this region about in 563 B.C., Lord Buddha was born who later on after achieving enlightenment founded and spread Buddhism. 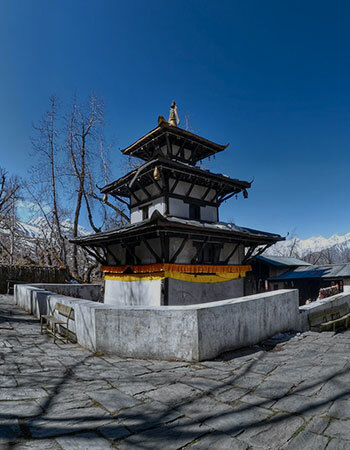 Nepali ruler’s privileged shelter to Buddhism paved the path for Hinduism to expand its influence by the 12th century. Successive rules of the Gopala, the Kiratis and the Licchavis led to the expansion of Hinduism in the country. It was during the rule of the Malla Kings from 1200-1769 Nepal was shaped to the dimensions of a modern state. The Nepal was unified 1768 by King Prithvi Narayan Shah. However, in 1768 a commercial treaty was signed with Britain once in 1792 and next in again in 1816 that led to subjugation of Nepal under Britain. In 1923, Britain accepted the freedom of Nepal. In meantime, country was ruled by Rana Family till 1951, where the office of Prime Minister was with them. In 1923, Britain recognized the absolute independence of Nepal. Between 1846 and 1951, the country was ruled by the Rana family, which always held the office of prime minister. In 1955 constitutional monarchy was set up in the country when Mahendra Bir Bikram Shah became king in 1955. The abundance of High Himalayan Mountains and enriched river system flowing from them has been the place of solace for sages and spirituality seekers for ages and attracted tourists from all over the world towards Nepal. A constant influx of outsiders, Nepal has developed an appetite for Folklore that is an integral part of Nepalese society. Tales from all aspects of life like love, affection, battles and demon in Nepalese tales showcases local lifestyles, cultures and beliefs. 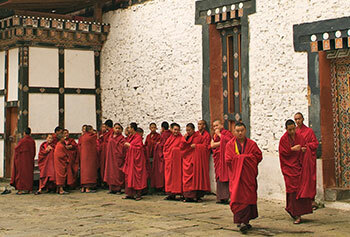 Hindu and Buddhist traditions in Nepal are prominently part of daily life for around two thousand years. Divided into 12 months Nepali year begins in mid April. Saturday is weekly holiday in Nepal. The houses in rural lowland in Nepal are made of tight bamboo framework and walls of mud and cow-dung mix thus remain cool in summer and warm in winter. Nepal’s flag is the only national flag which is not rectangular in shape. 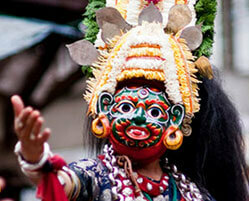 Festivities and culture in Nepal lasts from a single day to weeks. Dashain, the most important and longest festival of Nepal begins in late September and extends to mid of the October. 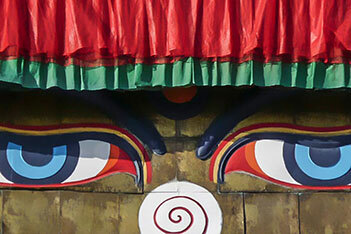 The festival is celebrated as victory of truth over Demons. 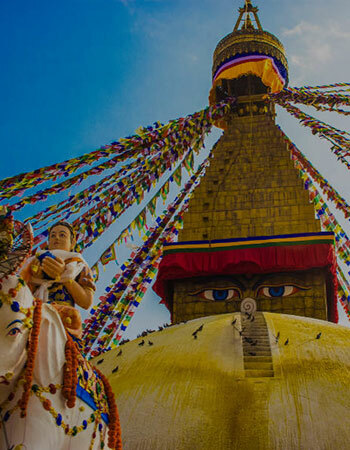 Other important festivals of Nepal include Tihar, Chhath, Buddha Jayanti and Maha Shivratri. Sherpas living in higher altitude at Mount Everest Region celebrates Mani Rimdu for the good of the world. Dance and music are essential part of Nepalese Festivals. 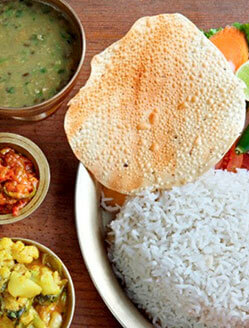 The most popular and preferred meal of Nepal is Daal Bhaat Tarkaari. The cuisine is consisted of spiced lentils served with rice and cooked vegetables as mustard green, potatoes, green beans, cauliflower and cabbage, etc. It is also relished with dahi (yogurt) and an ultra spicy chutney or achar. Apart from the main meal course a variety of snacks can be enjoyed with Tea. Corn in popped form is a popular snack called as ‘Kha-ja’ means ‘eat and run’. Other popular snack is ‘chiura’ that is heated and crushed rice savoured with yogurt, hot milk, sugar with other flavouring. However, western type Restaurants are also situated in capital Kathmandu and other big cities. An extensive cottage Industry in Nepal leads to a large souvenir items to be purchased from the local Nepalese market. 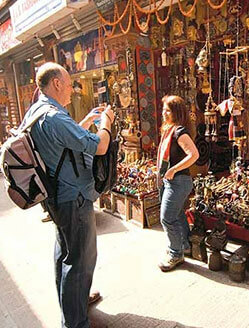 The most popular items that you can buy on your trip of Nepal include clothing materials, metal works and jewellery. The other items include tea, sculpture, rice paper, incense, spices, dolls, puppets and trekking gear. Woolen products made of Yak and sheep wool and cashmere and silk are must buy items in Nepal. The common woollen items are woolen hats, woolen sweatshirts, waistcoat, gloves, slippers and shoes. 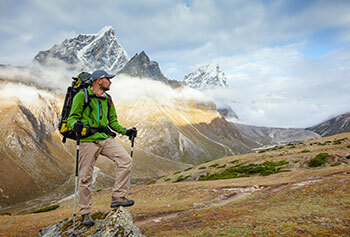 You can find a good number of trekking gear stores in Nepal. Singing Bowls prayer wheels, kettles, door knockers, traditional masks, knives and trinkets are some other items to bring from Nepal. For a tea lover Nepal is the best place to buy tea. Government operated NTC (Nepali Telecom Company) and private Ncell (Earlier known Spice Mobile and Mero Mobile) are two major mobile operator of Nepal. Both operators allow foreign tourists to buy SIM cards. Email has now become vogue in Nepal in capital Kathmandu and Pokhara. 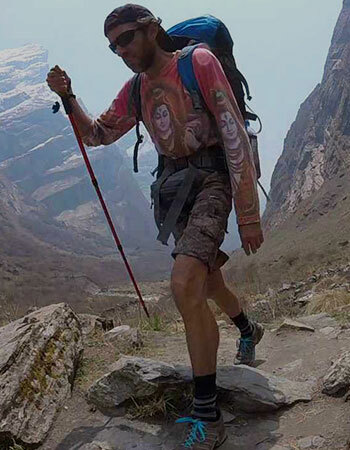 In the Everest region Namche has a good number of internet cafes using satellite connections. Wi-Fi in Hotels is free. In Nepal dehydration thorough intestinal parasites, amoebic dysentery and giardiasis is a main health hazard and happens to be chronic without proper medication. Therefore, tourist staying in Nepal for shorter period should take extreme precautions. It is best to use filtered or treated water in Nepal. Beverages should be using water thoroughly boiled and filtered. Tea or coffee served to tourists at cafes is generally safe in Nepal. While using bottled water be sure about bottle being properly sealed and water leaking when flipped upside. The output voltage from the wall outlet is 220V AC and frequency is between 50-60Hz. People visiting from countries using different voltage and frequency should make sure that their adapter / Charger is capable of operating in this range. The rupee is the official currency of Nepal. The present rupee has the ISO 4217 code NPR and is normally abbreviated with the sign ₨. It is subdivided into 100 paisa. The issuance of the currency is controlled by the Nepal Rastra Bank. The preset day Nepalese languages have their origin in language groups as Indo –Aryan, Tibeto- Burman, Mongolian and other indigenous languages. Originated from Sanskrit, Nepali is written in Devanagari script. Nepali is the official national language of Nepal and other regional languages are Awadhi, Bhojpuri, Maithili and Urdu. However, English is also spoken in government and business circles. 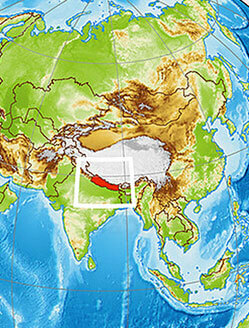 Nepal’s location partially in tropical and alpine region causes it come under monsoonal rainfall, excessively. Thus the period between June to August is not suitable for trekking due to its wet surface. Period of the year, when the sky become clean and clear between the months of September to November, it is the best part of the year to visit Nepal. Though the tourist activities get stalled in the freezing months of December – February, however, once again during month from March to May (Spring Season) you can see tourists on the street of Kathmandu. 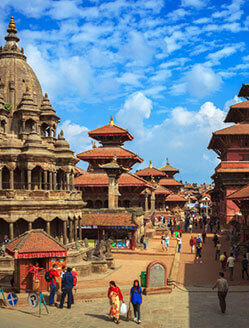 For most countries of the world Visa on arrival is available in Nepal for 15 days, 30 days and 90 days. For duration of 12 months visa is granted for about maximum of 150 days. All tourist visas are currently "multiple entry" type visa and permit multiple entries and exits during the period of validity. 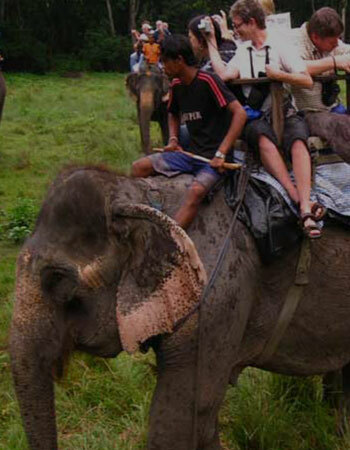 Visas are free for all tourists who come from a SAARC country. Indian nationals do not need a visa. Nepal’s Tribhuvan International Airport situated at outskirts of Kathmandu is connected with major cities of world as Singapore, Hong Kong, Amsterdam, Delhi and many other European Cities. Car rental is another viable option to travel within and to Nepal. Chauffer driven car is also available in Nepal. 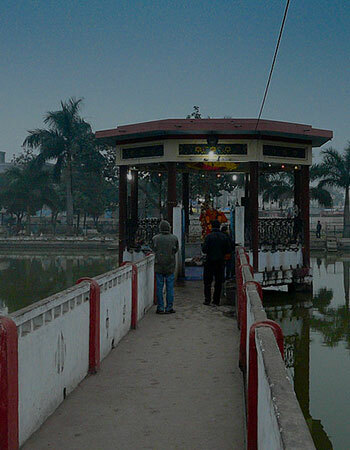 For travelling by Bus, a tourist can opt from any of the five touring options including Sunauli-Bhairawa, Raxaul-Birganj crossing, Siliguri-Kakarbhitta, Banbassa-Mahendrenagar and Bahraich-Nepalganj. 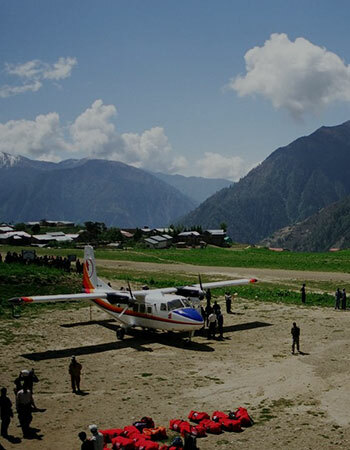 For internal overland journey across Nepal, one can choose from Micro Bus, Local Bus, Tourist Bus, Rickshaw, Tempo, Taxis, Tram and motor cycle. With monsoon type climate Nepal has four seasons’ spring, summer, monsoon and winter. The rainy season lasts from the months of June to September. During this period you should rather bring umbrella as tourist at this time and will get lower lodging rates and lesser crowd of tourists in Nepal. Period after the monsoon rainfall from October to December is the best time to visit Nepal. Months of January to December are of severe cold in Nepal. 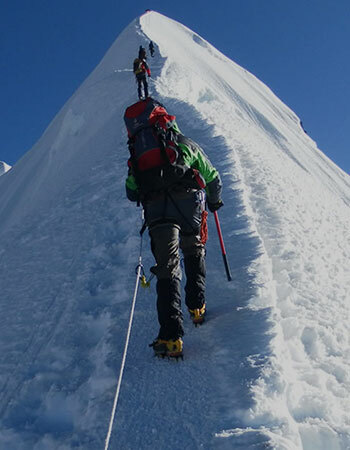 However, period from April to June of temperate warmth is the best time to undertake mountain expeditions. In terms of Accommodation for tourists, Nepal offers one of the most fairest and affordable lodging in budget class. Good amount of discount is also offered for extended stay in Nepal. For a decent stay in Nepal, one can also opt for three star and four star hotels with all the best facilities and accommodation there including air conditioner, internet, satellite television, room service, swimming pool, etc.